Custom planters and baskets – Drop off your empty container and tell us what colours you have in mind. We’ll have it ready for pick-up shortly. We ask that you bring in your summer containers in April. Bonsai Repotting – Come in the spring and we’ll help to shift your bonsai into a bigger pot. 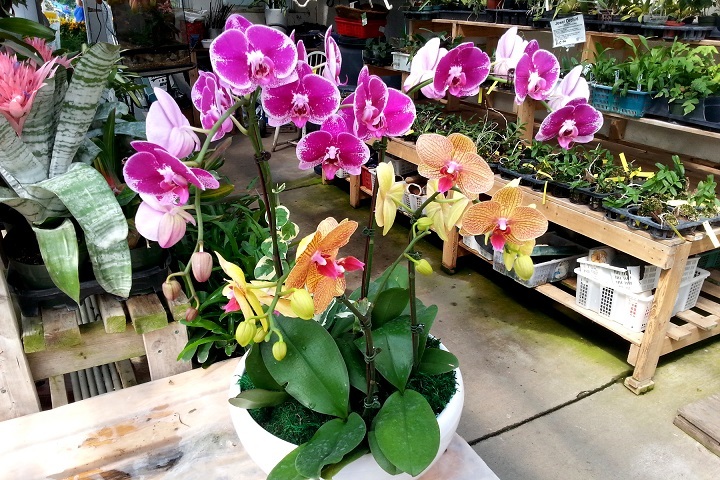 Custom arrangements – For those special occassions, we can put together arrangements with orchids, succulents, bromeliads, you name it. Garden layout – Unsure how to plant your new garden? Bring in a photo and we’ll help you plan it out.